Go to Freedom.to/ and log in. 2. 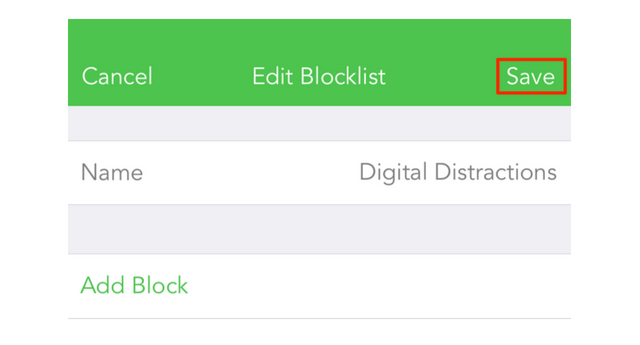 Either click on one of your blocklists to edit it, or create a new blocklist by selecting Add a blocklist. 3. Enter a website URL in the empty field above the filters and click Add Block. 4. Repeat step 3 with all other websites that you’d like to block. For help adding mobile and desktop apps to a blocklist, click here. 5. If you created a new blocklist, select Save. 1. Launch the Freedom app on your device and log in. 4. If you are creating a new blocklist, name your blocklist. 5. 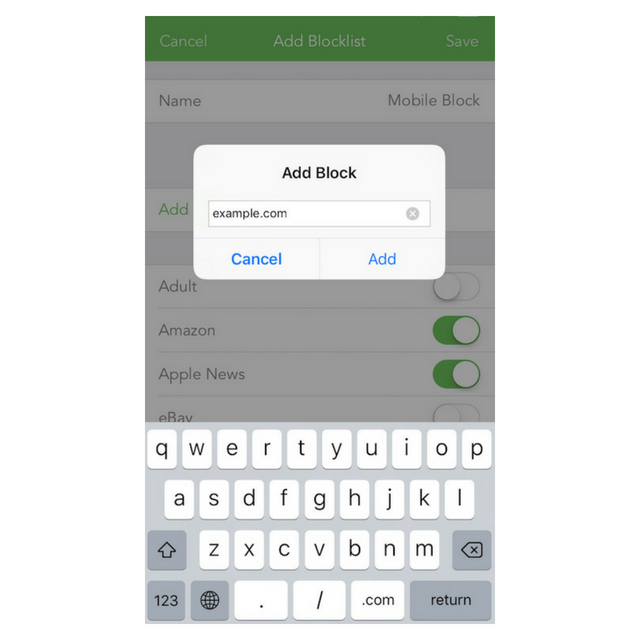 Add any additional sites you want to block by entering the URL in the field above the filter list and tapping Add. For help adding mobile and desktop apps to a blocklist, click here. NOTE: Adding and managing desktop apps can only be done on a Mac and Windows computer via the menubar. 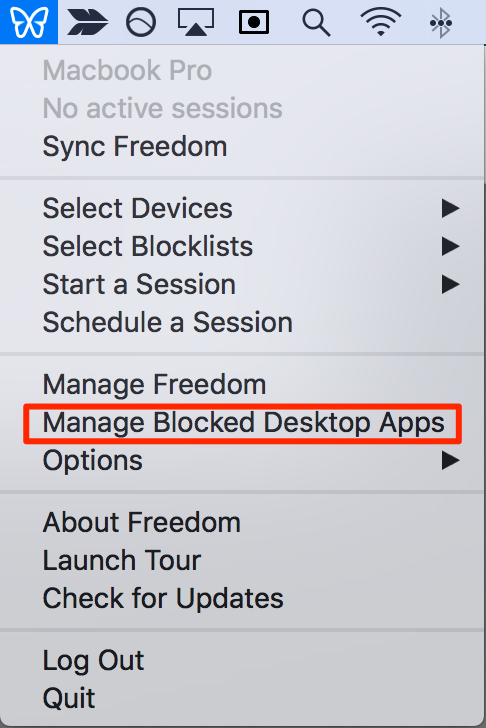 To manage your desktop apps, click the Freedom icon in the menubar and select Manage Blocked Desktop Apps. If you're having any difficulty, please feel free to send us an email at support@freedom.to or chat with us via the green chat bubble in the bottom right corner of the page. We're happy to help!